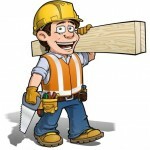 An experienced construction guy/gal that wants to go green with solid construction skills. Where are all those cool green builds? In today’s world where everybody is super jazzed about green building you’ve probably noticed something very strange. Really cool projects are really rare. The real market for green building is happening. With all new markets, the early-birds get the worm. It’s presence during the formative years that create the brands, and notoriety for later. That’s why if you see a budding green builder when you look in the mirror, you need to slide down the page and contact us. I need a manager to help finish this build, and to carry the open source ball forward. The question becomes – why would anybody build, or buy a dinosaur house based on outdated building techniques when there is no reason to. Eventually it becomes embarrassing to be a laggard. It becomes the difference between energy dumb and energy smart. Who really wants a clunker? In the beginning, like now, millions of folks want that “smart” but nobody quite knows how to deliver it. Please fill out this form. I will contact you shortly. This is the volunteer registry, but I use it to track applicants also. Thank you. Hello, I found an add for an apprentice position but I have been working in the construction field for many years, full-time about 5 years. Spring of 2014 went to Taos and joined the Earthship Academy. Hoping to find land or somewhere in Colorado I could build, but also having a child on the way, my girlfriend and I decided to settle with a typical home in Leadville, CO. Im still searching for my opportunity to build Earthships or something close to it. So with all that being said, I think I could be a great well rounded builder for you with knowledge from retrofitting to new construction. But most importantly, I could not figure out where you are located but I do recognize a photo on the website that looks like a building in Colorado. So whether you are located in Colorado or not, I will be very excited to hear back from you, Thanks. Hi Alex. Got your message. Will send you an email shortly to get your phone number. Hi Zack. I added you to my callback list. Experience in all phases of construction since 1997, master electrician and electrical contractor. Always looking for opportunities to integrate generated waste to useful energy. Have designed systems to utilize free cooling in winter and solar walls for heat and hot water.